Electronic Measuring Instruments help minimize downtime. 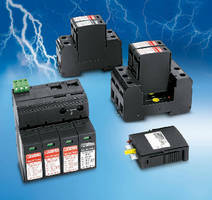 High-Density Power Supplies have 700,000 hr operating life. 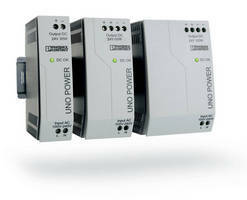 UNO POWER supply units, available in 24 and 12 Vdc versions ranging from 30–100 W, feature input range of 85–264 Vac, allowing for international use. 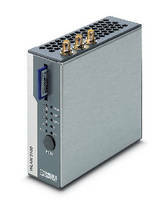 Measuring 84 mm high and 55 mm wide, power supplies are suited for 120 mm deep enclosures. Products have industrial polycarbonate housing and, rated for operation between -25 and +70Ã‚°C, are designed for use in harsh environments. Valve Regulated Lead-Acid Battery has wide temperature range. Electrical Measuring Devices can reduce downtime, disturbances. Lightning Arresters provide Level III and IV protection. WLAN Radio offers wireless networking up to 300 Mbps. Cable Ties feature tapered edges. Hand Tool Options enable complete wire processing. Inserted in handle of tool, Crimpfox-WF die provides stripping capability from 20-10 AWG and cutting capabilities from 24-10 AWG, in addition to crimping. Tool features easy follow through ratchet release and releasable pressure lock mechanisms. Crimpfox-N provides optimum transfer of force, requiring minimal manual impact. 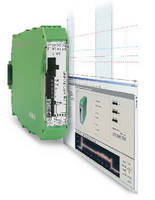 Electronic Motor Manager optimizes predictive maintenance. 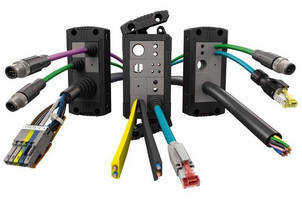 Cable Entry System aids feed-through cabinet installation.